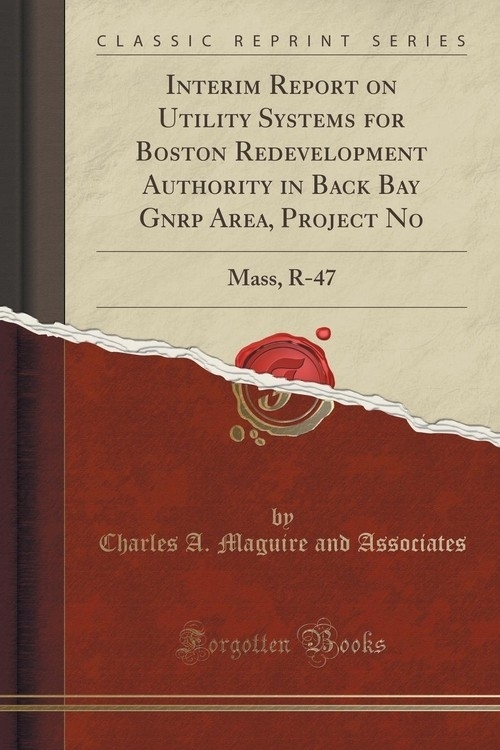 Interim Report on Utility Systems for Boston Redevelopment Authority in Back Bay Gnrp Area, Project No: Mass, R-47 was written by Charles A. Maguire and Associates. This is a 216 page book, containing 21879 words and 13 pictures. Search Inside is enabled for this title.